If your business still uses backup tape rotation to store information, chances are good that your data is quite valuable and you need to keep it protected and sustainable. While many organizations are choosing to convert their data held in backup tapes to more modern mediums, the transition can be tricky and sometimes it just isn’t feasible to do so right away. 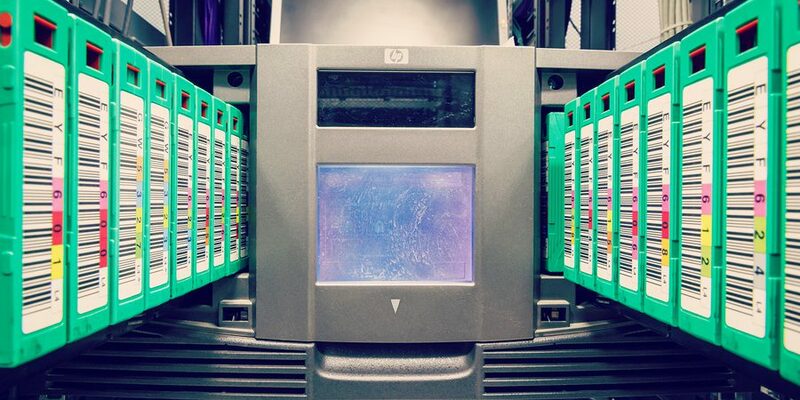 Whether you plan to continue the storage of your information on backup tapes or are buying time until you can make the conversion to digital, you’ll want to make sure you are doing everything you can to keep your backup tapes safe. From a technological perspective backup tape is outdated compared to most other data storage options for organizations, however backup tapes do still have some value to businesses today. With the size increasing and the price of hard drives and solid state drives decreasing dramatically over time, backup tapes as a primary storage medium is now less common. 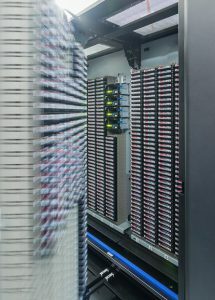 Despite that though there’s still an industry built around backup tapes and offsite vault storage for increased longevity. One of the main reasons tapes are still around today is due to the fact that many companies chose them as their storage medium in the past when it was much more prominent. Some may not have updated their data storage and management systems and converted their tapes for a DMS, however there is also the fact that the digital data on a physical tape is protected from cyber threats, which also gives businesses a reason to hold on to their backup tapes. Either way, considering the massive amounts of data stored on tapes it’s important to be sure they get the maximum protection. Tape vaulting is the method in which backup tapes are typically stored, but there is more to it than simply keeping them hidden away in a safe and secluded area. Additional concerns of degradation and accidents can dramatically reduce the lifespan of your information. Tape rotation is commonly used as an insurance to keep the information in backup tapes protected. During this process, the tapes are either picked up or dropped off and stored in secure, locked bins until they are ready to be copied over to other tapes. Different schemes and time tables are used for tape rotation, with some companies even opting for daily tape rotations and backups for highly-sensitive data. Tape rotation is usually the ideal option to keep your data protected with information backed up regularly while still housing your magnetic tapes in a secure location. Both tape vaulting and tape rotation are offsite storage services, yet these are not the only options available. If you can afford the space, you can choose to simply house your magnetic tapes on-site. This is the most cost-effective option as there are no additional fees associated with paying for a storage service, however there are some inherent risks involved as well. Offsite tape storage facilities are climate-controlled and monitored to increase the lifespan of the magnetic tapes as well as endorsing an atmosphere that is safe from natural disasters and theft. Your on-site storage capabilities may not meet these same standards, thus allowing for the possibility of your tapes’ lifespan to decrease. Company data is an invaluable asset that cannot be taken lightly when it comes to maintenance and protection. With an adequate backup tape rotation plan in conjunction with secure tape vaulting services, you are directly minimizing the risks that come with using magnetic tapes. To learn more about backup tape vaulting and rotation services, including free quotes from local contractors near you, give Record Nations a call at (866) 385-3706 or fill out the form on the right.